Style 224: Sizes available: 12”x18” - $95; 14”x20” - $130 (shown below); 18”x24” - $190; 24”x36” - $400; plus $8.00 shipping (US) for any size. 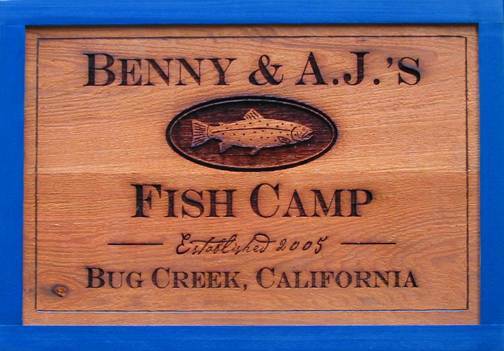 This piece is laser-engraved (wood burned - similar effect of a branding iron) on a plain piece of 3/4” thick Ruff-Sawn Western Red Cedar and features four lines of text, and a trout-in-an-oval illustration set within a summer blue painted frame. This style works well if you have a long name that needs to be put on the sign. 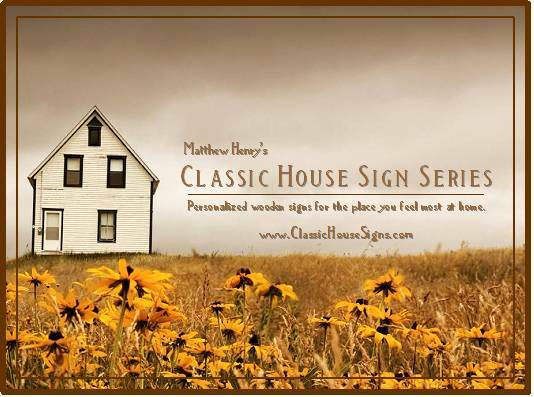 You may order this style sign with whatever text you deem necessary, or as shown with your camp, cabin, cottage, ranch, lodge, or home’s name and/or address (as line one & two); established date (as line three); city & state or other location (such as a lake, pond, river, etc. ); (as line four) Choose your frame color (camp red, black, forest green, summer blue, olive, natural, or bark brown; or you can mail me your paint to match door/window trim color and I’ll use it) to complete your piece. 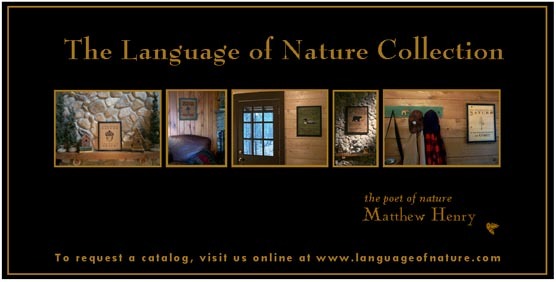 As with all of my work, you may substitute the nature illustration with any of my other colors or designs (including your own) that you might prefer at no additional charge. Note: When ordering this style, please use the comment box on the order page for your fourth line. You will receive a proof of your layout (or several if I determine that a different layout might work better) before I begin work on the actual piece. Typical turnaround time for each piece is 1-3 weeks. All pieces are sent ready to hang with sawtooth picture hangers. Alternative hanging methods are at your discretion.